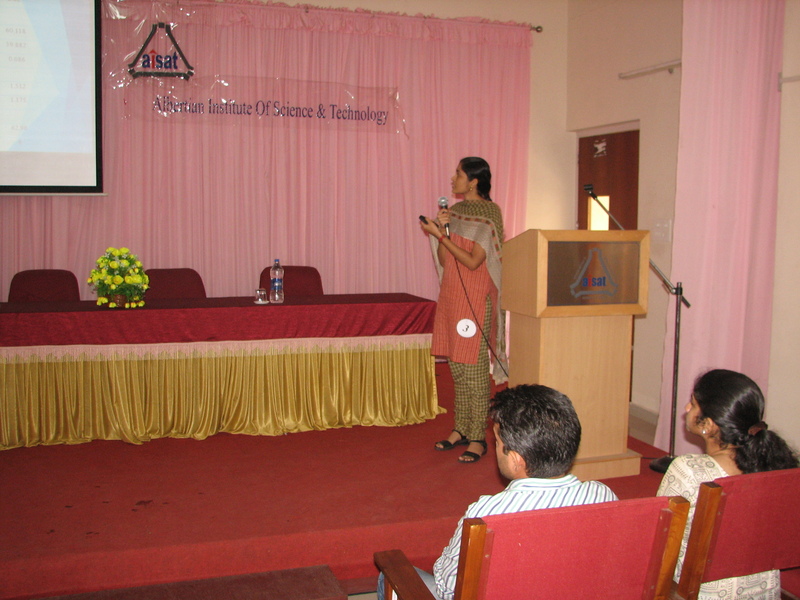 The presentation of the projects qualified to the final round of Procomp 2015-16 was held at AISAT on 23rd June, 2016. The third edition of the event which is an annual project competition for the final year B.Tech students of engineering colleges under M.G university was jointly orgnised by Graduates’ Association of Consultant Engineers(GRACE) and Department of Civil Engineering, AISAT . The sessions were enriched by the presence of Dr. Glory Joseph, SOE CUSAT and Er. Abilash Joy, President, GRACE. Out of the several abstracts received, 15 projects were shortlisted for final presentation. The winners were selected by a panel of experts in the field of Civil Engineering. The Mokshagundam Visvesvaraya prize for the best project was bagged by the team consisting of Ms. Merlin John, Mr.Ahammed Kabeer and Ms.Tinu Diamond of AISAT. The second prize winners were Mr. Jerin Thomas John, Ms. Gopika Rajeev, Ms. Jinchu Sabu and Ms. Arya Elizebath of Amal Jyothi College of Engineering, Kanjirappally. Ms. Neba C.Tony, Ms.Sandra G.Raj, and Mr. Devdas G of AISAT came third. Prof. Dr. Babu T Jose, Director, AISAT, Dr. K E George, Principal, Prof.Vincent K.John,Vice principal, and the faculty members were also present to foster the young innovative minds. The winning teams will be awarded, prize money, plaque, citation and certificates at a glorious ceremony during the Fifth Praphulla Kumar lecture series to be held on 6th August 2016.